Four Fairfield volunteers were recognized for their service at Pequot Library's annual meeting. 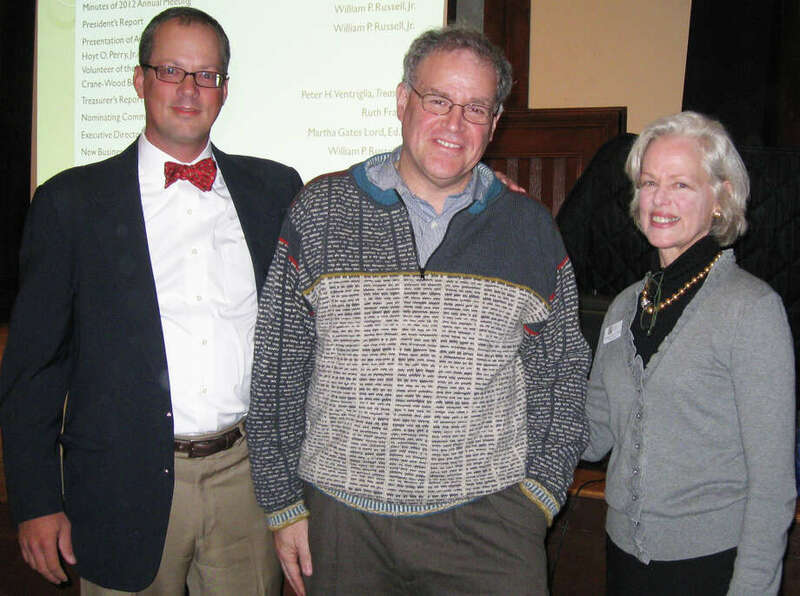 Doug Fried, Graham and Jane Michener, and Enid Munroe were honored at the Oct. 27 meeting. Enid Munroe was given Pequot Library's Lifetime Service Award for establishing the library's community art show, which has been an annual event for 17 years. Munroe, an artist, also chairs the exhibits in the library's Perkin Gallery. Graham and Jane Michener were honored with the Volunteer of the Year Award. They began "Derby Day," an annual fundraiser held on the lawn of the library celebrating the Kentucky Derby. Graham Michener has also been the co-chairman of the Golf Outing, another library fundraiser for the past three years, and is a trustee on the library's board of trustees. The Crane-Wood Book Sale Award winner is Doug Fried, who has been a volunteer for the Pequot Library Book Sale since 1992, and has been chairman or co-chairman for 10 of those years. Pequot Executive Director Martha Lord and William Russell, president of the board of trustees, presented the awards. "As budgets tighten, Pequot Library is so fortunate to have volunteers like these four recognized honorees," Lord said. "Their tireless work helps Pequot Library better serve the town of Fairfield."